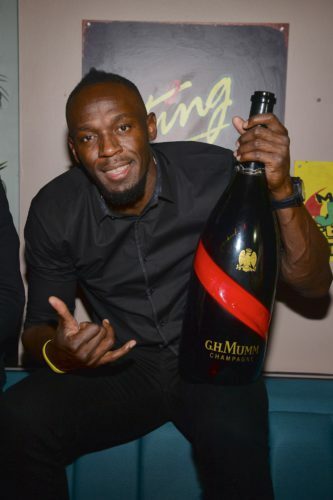 November 2018 - Usain Bolt chose the UK capital to open his first restaurant in Europe on 14 November. Tracks&Records, a chain co-founded by the Olympic champion, already has three addresses in Jamaica. 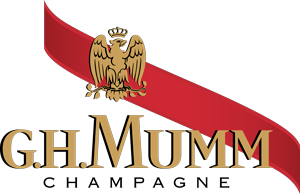 As the exclusive champagne partner of the London venue, Maison Mumm is delighted to support its C.E.O. (Chief Entertainment Officer) since 2016 in this new challenge. 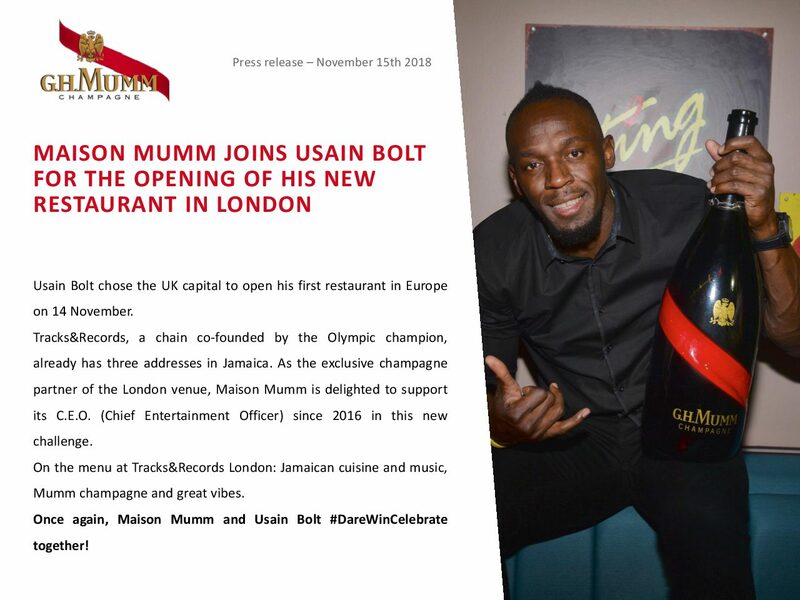 On the menu at Tracks&Records London: Jamaican cuisine and music, Mumm champagne and great vibes. 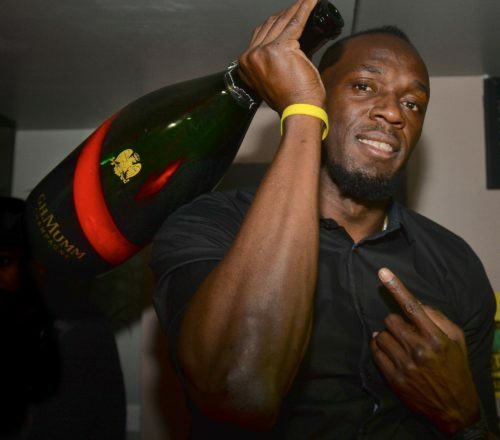 Once again, Maison Mumm and Usain Bolt #DareWinCelebrate together!